Totowa Dental Center Blog A Free Second Opinion? Think You're Paying To Much For Dental Work? Schedule A Free Second Opinion! 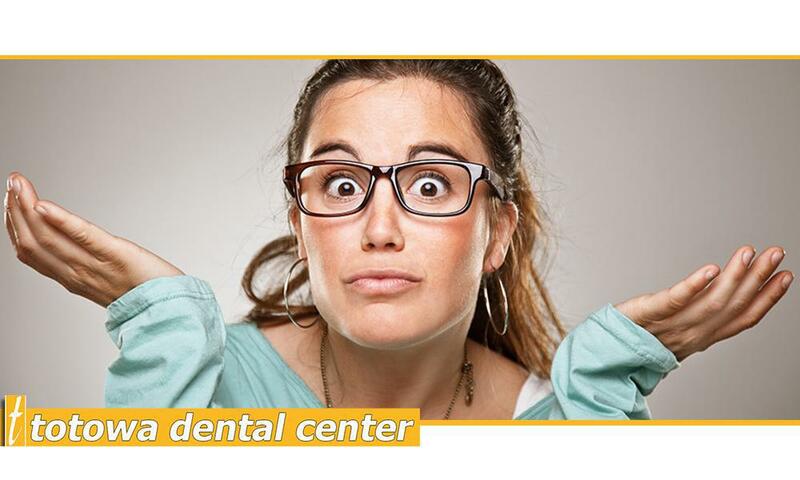 At Totowa Dental Center we look for every opportunity to lower your fee! Dental treatment can come with a big sticker shock! At Totowa Dental Center our advanced technology has saved families tens of thousand of dollars on dental work! Remember, all dentists are not the same, when a dentist uses older techniques and equipment it takes more time which results in a higher fee. At Totowa Dental Center our doctors and courteous staff take pride in our state-of-the-art dental office providing patients pain free, same day affordable dentistry. By getting a second opinion before starting an invasive procedure (which cannot be undone) you will forever have peace of mind you did the right thing! A second opinion will insure your goals match up with your dentist's philosophy. We encourage you to explore all options before having major dental work started. Dental treatment can come with a big sticker shock! Not all dentists are the same. Some prefer more aggressive preventative care. Others prefer to preserve the natural tooth as long as possible through preventative care, maintenance or less invasive procedures. Different dental offices offer different procedures depending technology, philosophy of the dentist and training. Does this mean one method or treatment plan is better than another? No, it just means there may be a less aggressive or more affordable option available. What make us different from other dental providers? The key to affordable dentistry is the technology behind the procedure. Our office has the best equipment and doctors with the advanced training to use it. Skeery Jones from Z100's Elvis Duran Morning Show simply described our offices... "This Place Is Amazing!" To further reduce the cost of your dental work we will review your treatment plan and see what must be done together or in separate procedures. Perhaps we can spread the procedures out over a period of time. If you have dental insurance we will check to see what benefits are available for this year and when the benefits will renew. We compare the procedures to the benefits available to maximize insurance coverage. One part of the treatment plan can be done this year and the other next year once the plan renews. Some plans can be spread out over multiple years. This often makes a very large difference in what the insurance pays and what you pay. Most dentists want to do the whole procedure right now. However, we understand that some patients simply cannot afford to have the whole treatment plan completed at once. At Totowa Dental Center we would rather complete the needed treatment over 3 years than not having any treatment done at all. Teeth will not heal themselves and will only get worse with time. We will maximize the insurance coverage and minimize what you pay out of pocket! Last we will break up your portion into affordable monthly payments. We are more than happy to work with you to make sure the payments are well within your budgets. Your plan is tailored to your specific needs and circumstances. A lot of dental offices will not go to this extent to make sure you are paying as little as possible out of pocket. Totowa Dental Center offers convenient payment plans, fee reductions for Senior Citizens and cash payments. A written treatment plan dated within the last year is required. A copy of the X-rays used by your dentist to prepare the treatment plan being reviewed. Treatment plans already started are not eligible for a free second opinion. Totowa Dental Center does not give opinions on dental work already started or completed. PLEASE NOTE: WE DO NOT GIVE SECOND OPINIONS REGARDING WORK ALREADY COMPLETED BY ANOTHER DENTIST! WE WILL EITHER CONFIRM YOUR CURRENT TREATMENT PLAN IS THE BEST OPTION AND/OR PRESENT OTHER OPTIONS FOR YOUR CONSIDERATION. If you do not have a copy of your X-rays and do not wish Totowa Dental Center to obtain a copy from your dental provider we will be happy to take a new set of X-rays at no charge. If you would like to schedule a second opinion or would like to speak with one of our team members please Call 973-890-0600 Today! or CLICK HERE to contact us. We look forward to welcoming you into the Totowa Dental Center family! 10 Things To Know That Can Save Your Life! For Every Like Or Share on Facebook & Instagram We're Donating $1.00! Caring Is Sharing - Your Experience Has Benefits! $15,000 Smile Make Over Winner! Say Goodbye To Morning Breath! Causes And Remedies Of Bad Breath! Check Out These 5 Foods That Will Whiten Your Teeth!